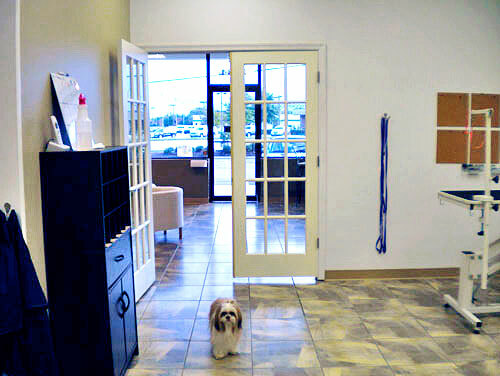 We've created a beautiful location and in it we make dogs happy. 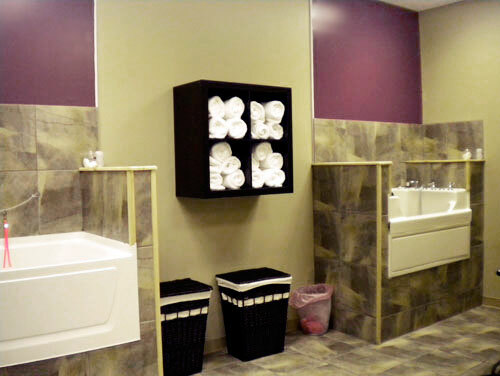 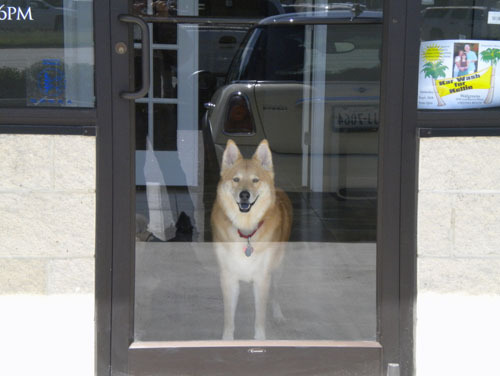 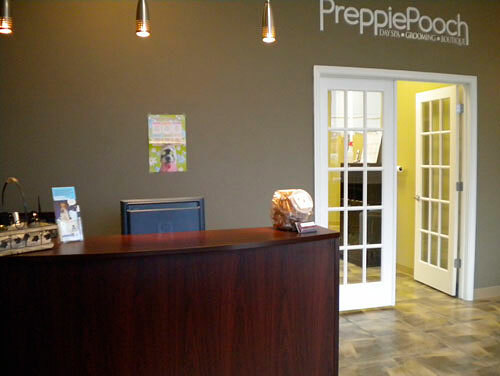 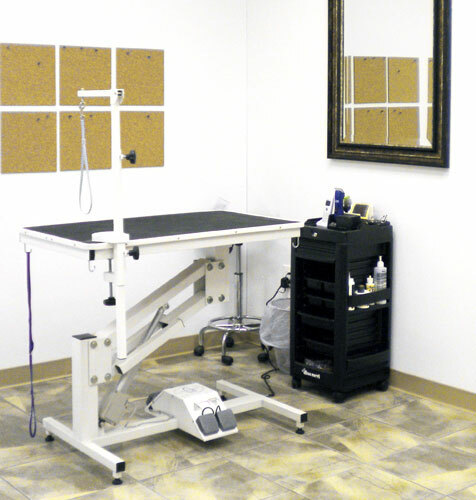 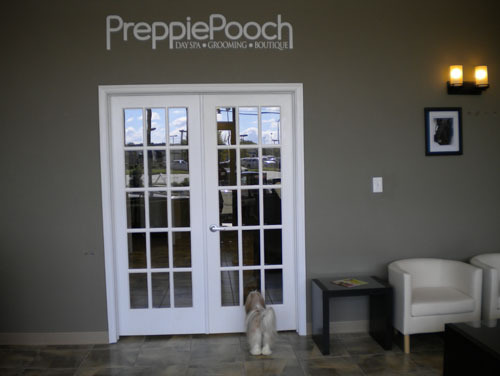 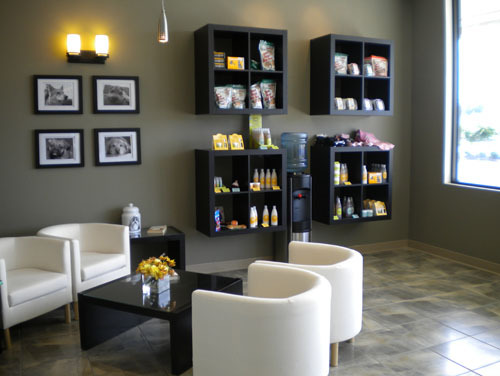 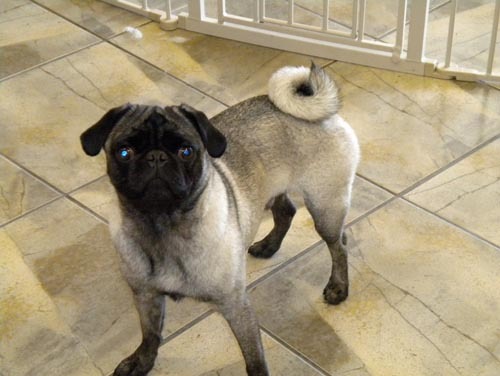 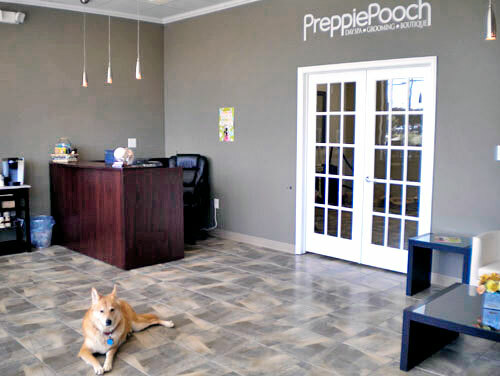 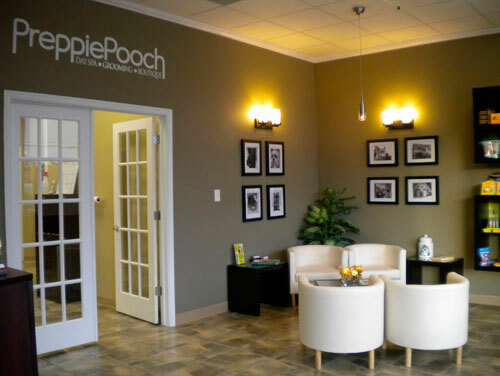 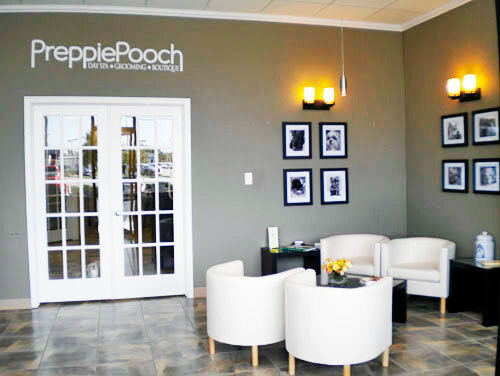 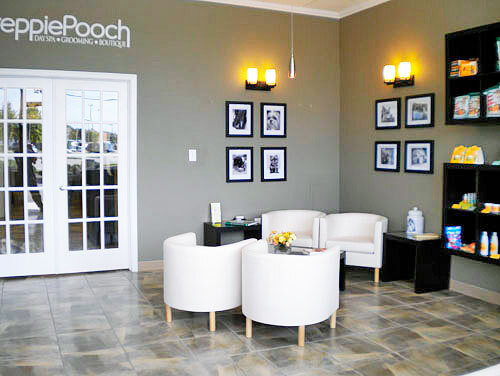 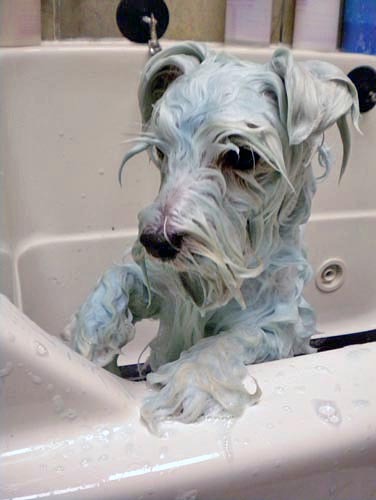 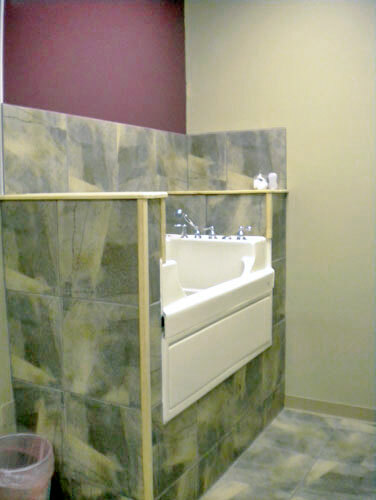 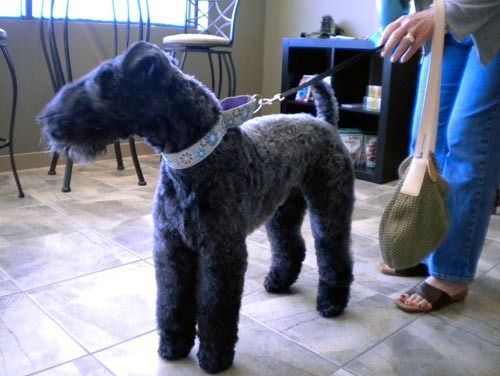 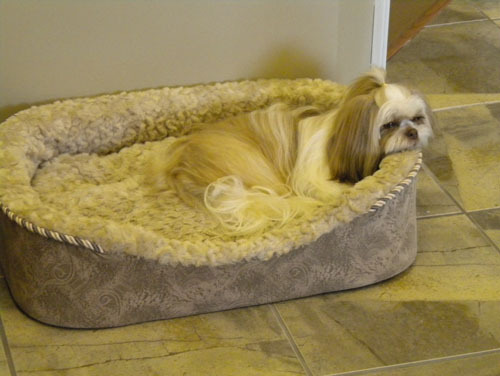 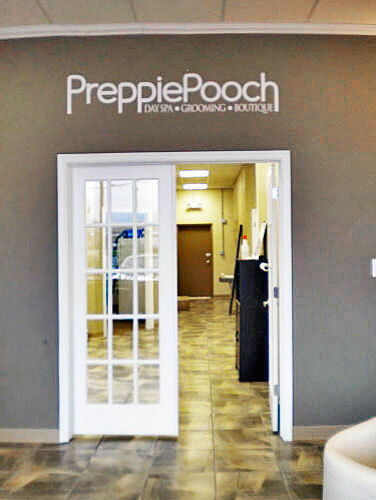 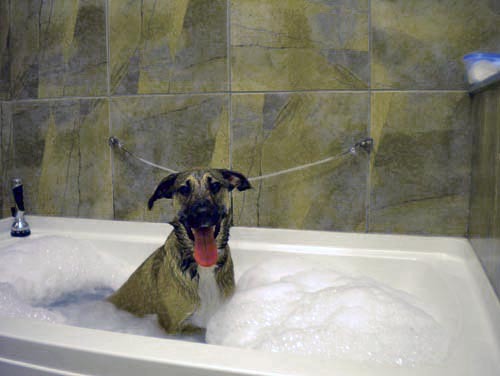 We set out to create a soothing, spa environment for pets and owners alike. 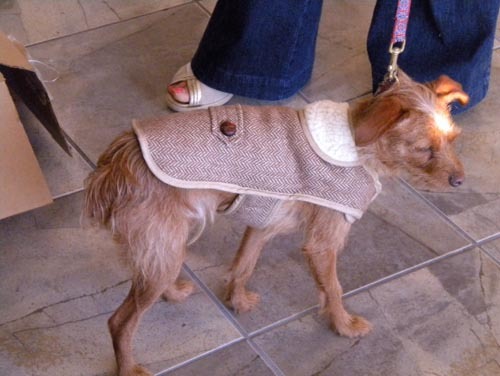 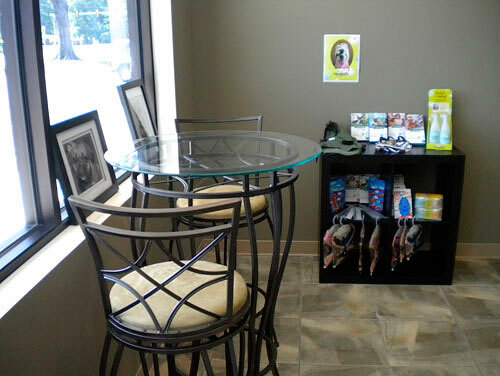 Our boutique contains name brand lines of clothing, accessories, shampoos, conditioners, perfumes and all natural treats for dogs. 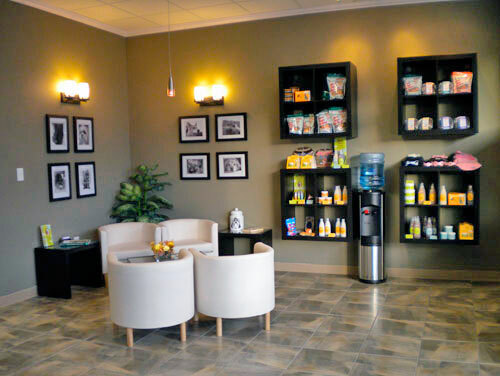 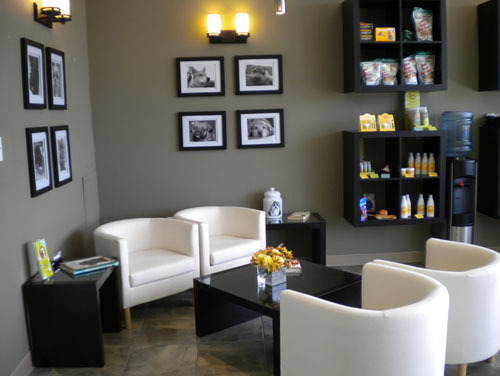 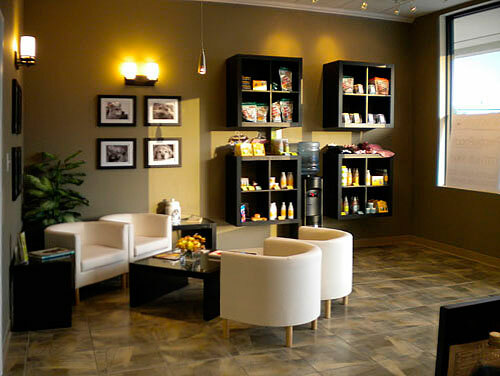 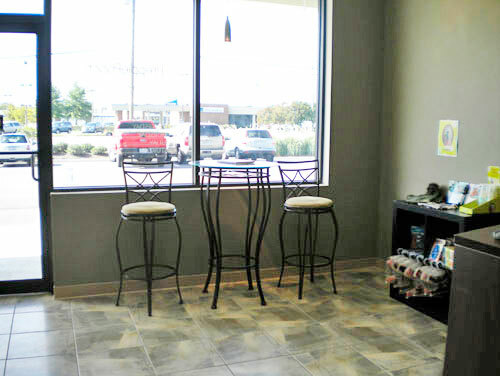 For the owners, we have free WIFI, purified water and free coffee while you wait. 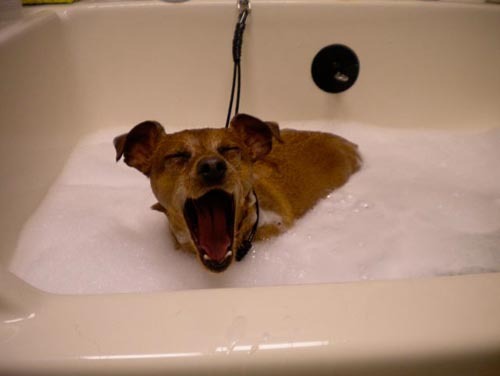 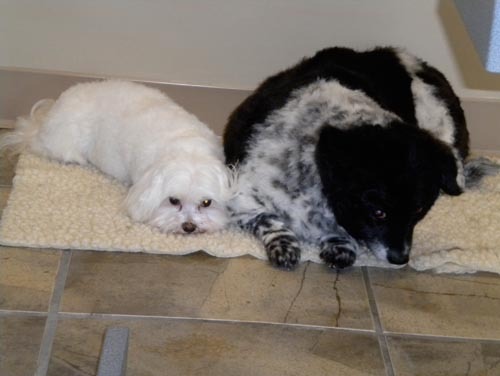 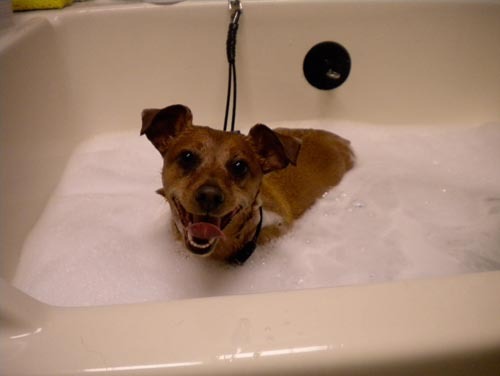 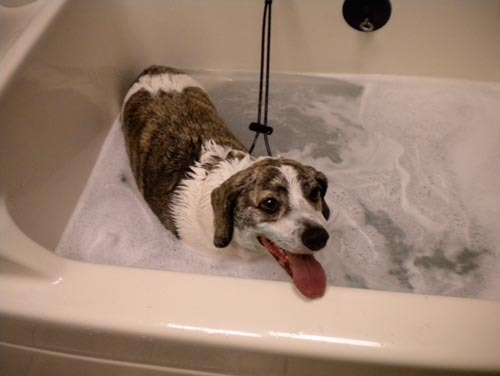 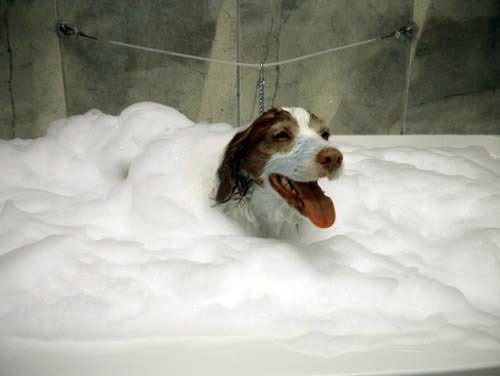 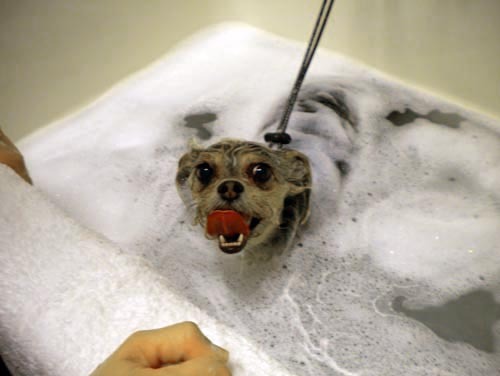 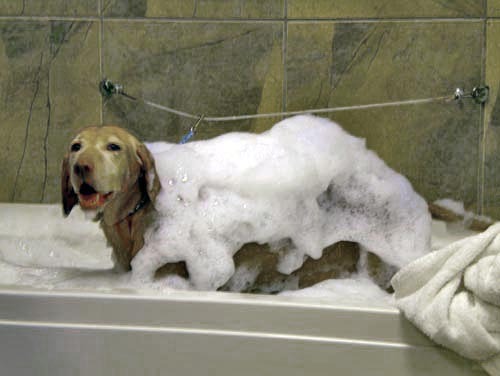 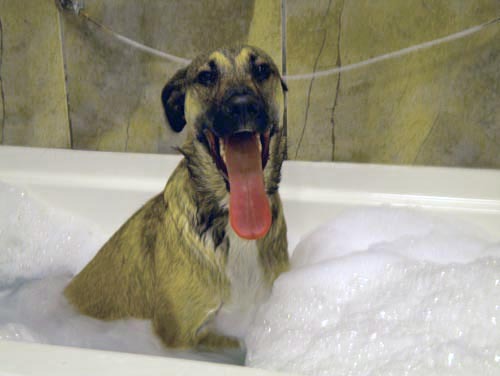 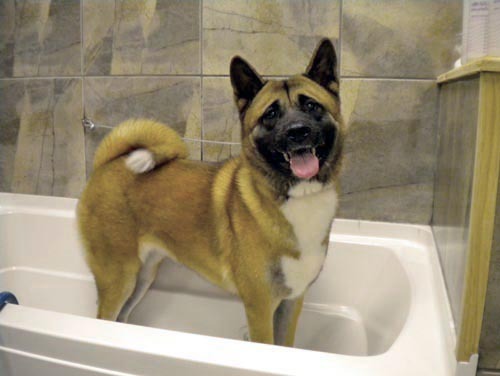 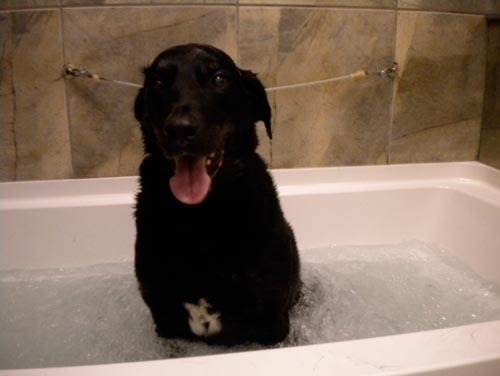 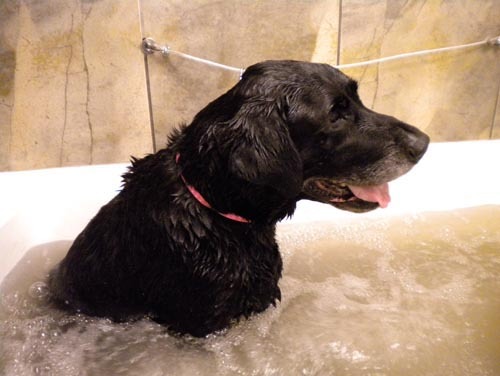 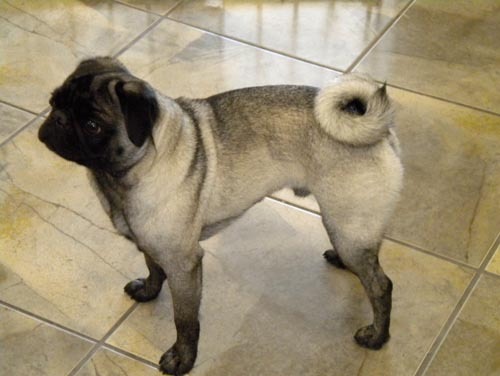 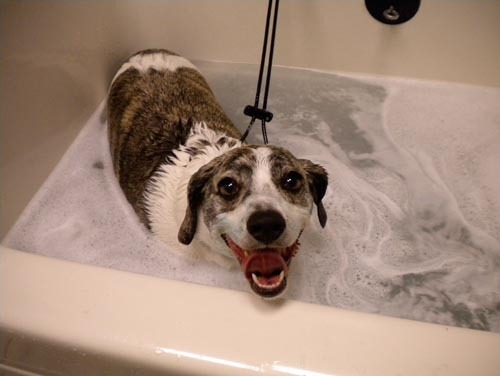 In the spa, we have two whirlpool tubs: one for large dogs and one made especially for small dogs. 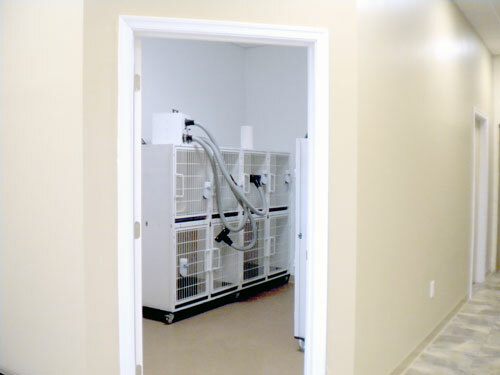 In the pet waiting room, we have purified water for each one of the pets and custom cut lamb skins for them to relax in comfort. 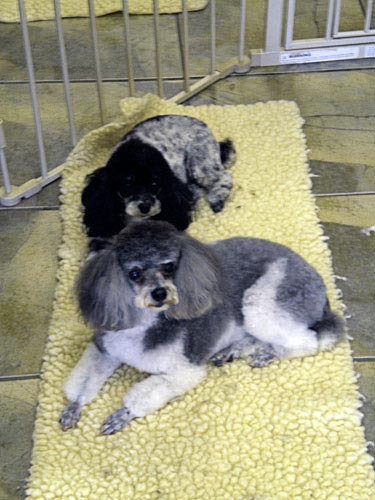 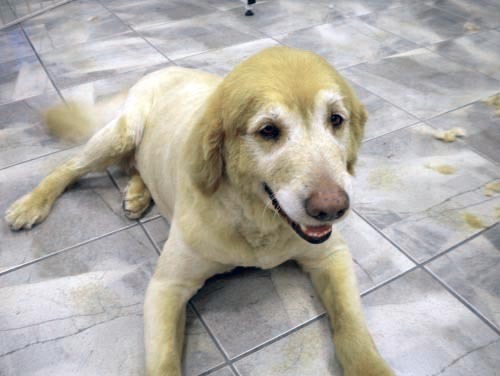 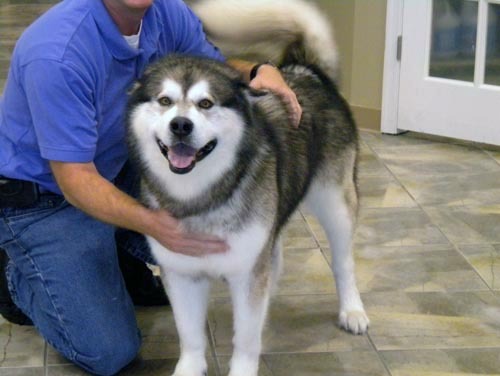 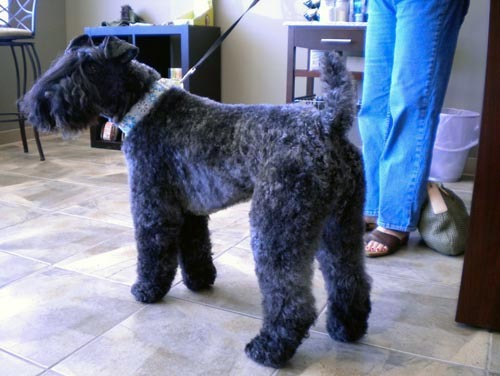 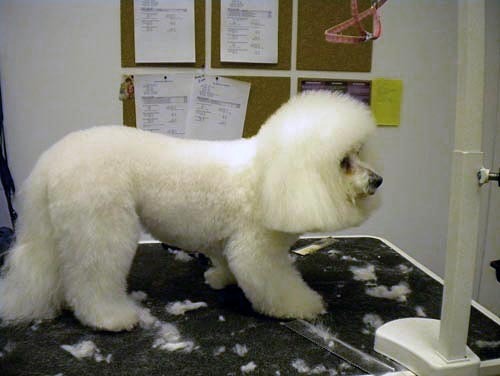 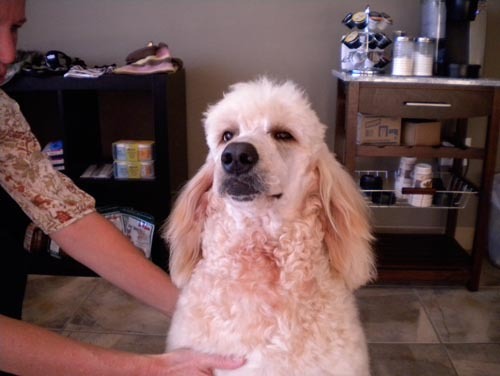 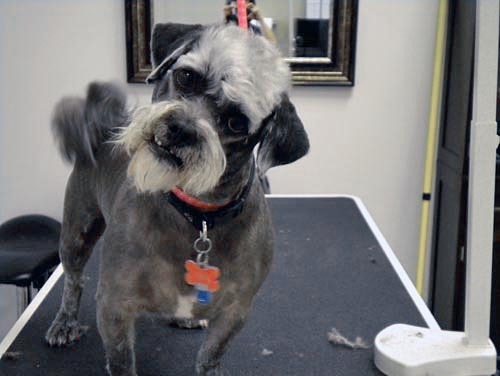 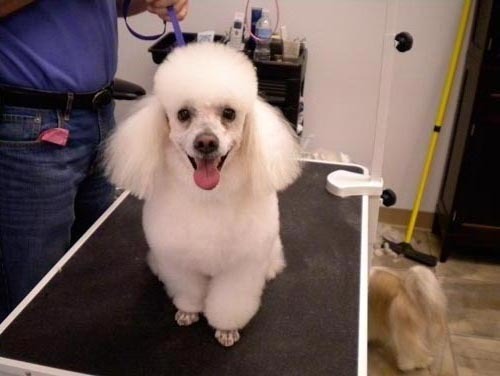 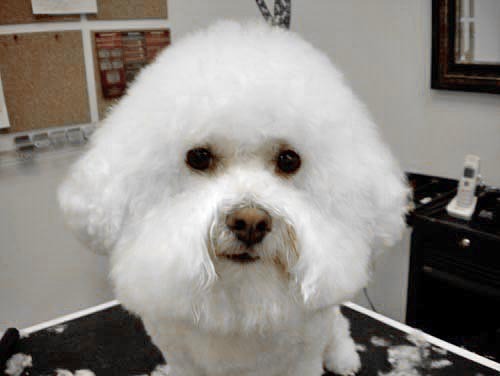 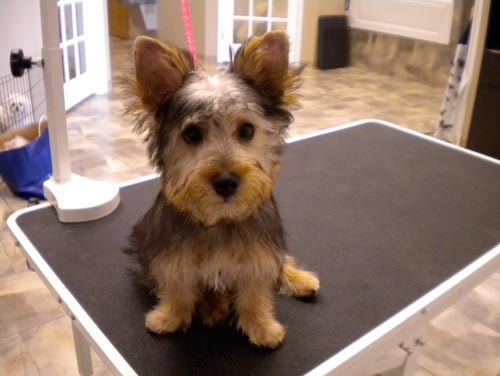 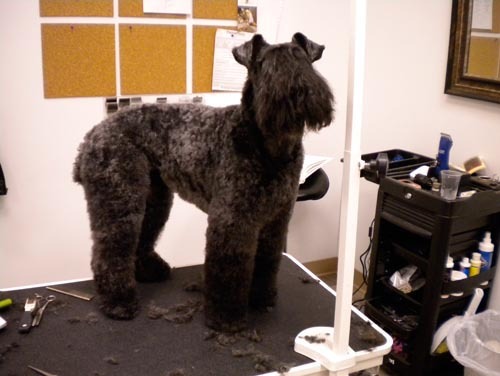 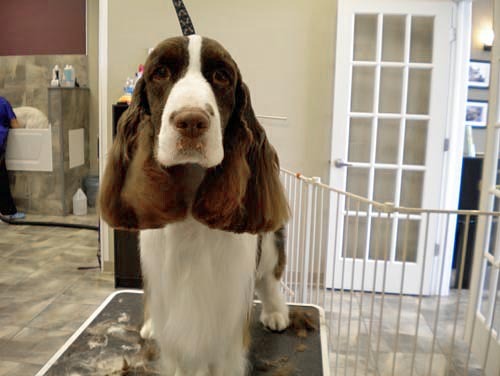 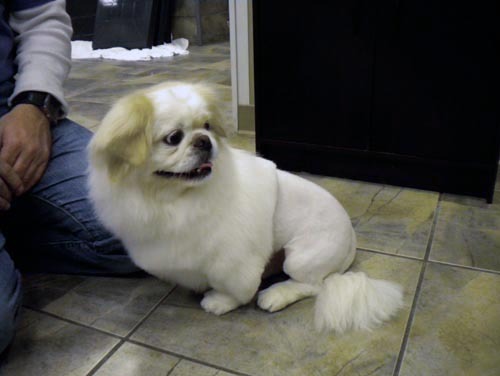 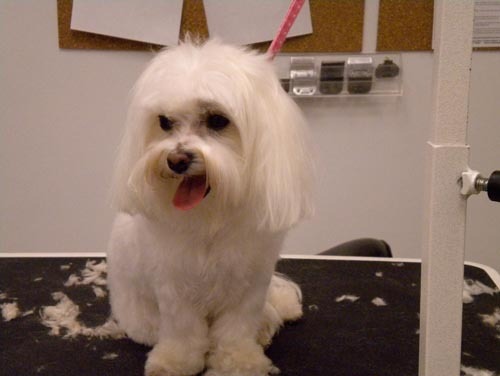 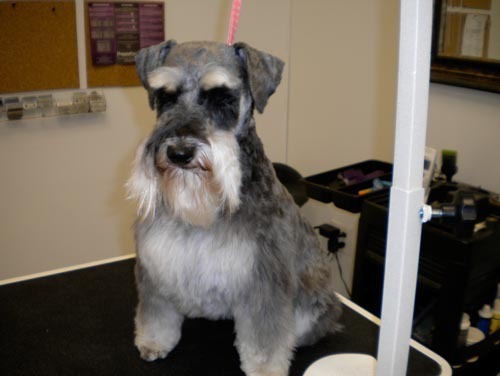 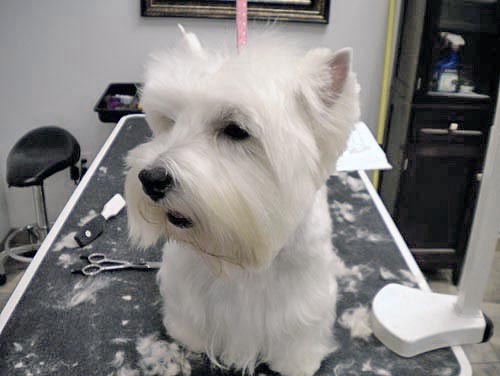 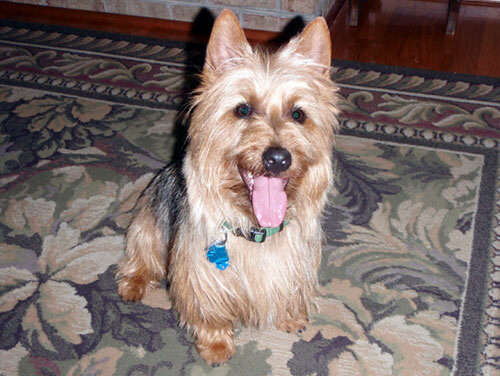 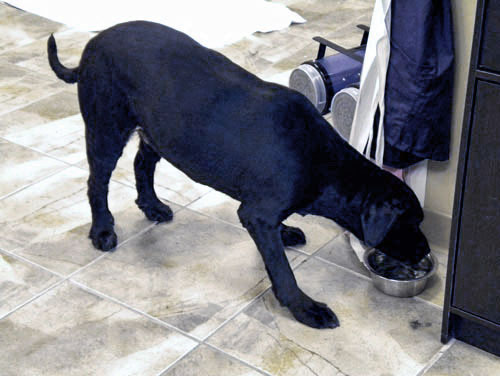 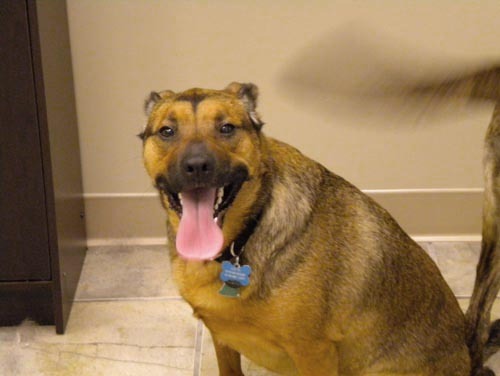 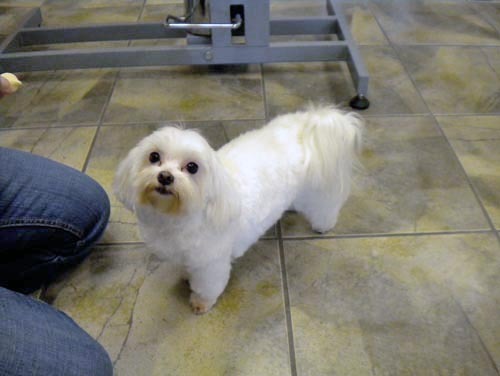 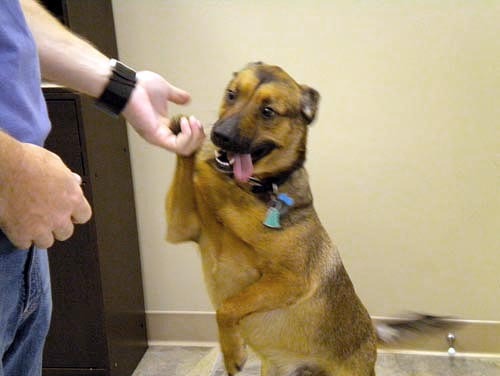 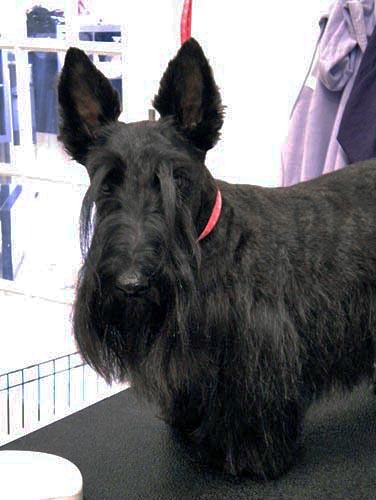 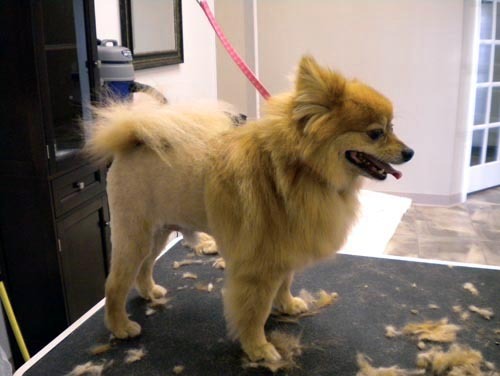 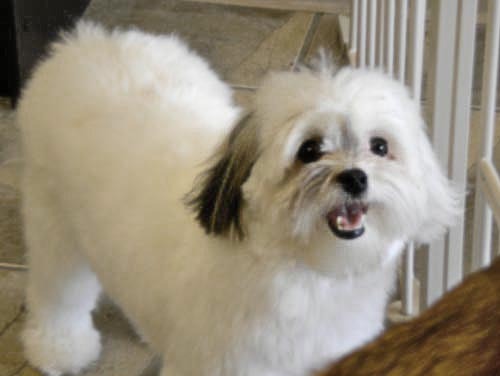 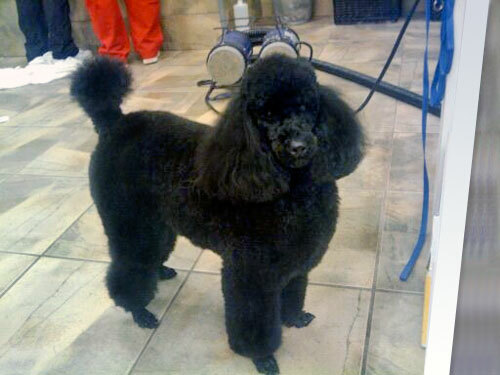 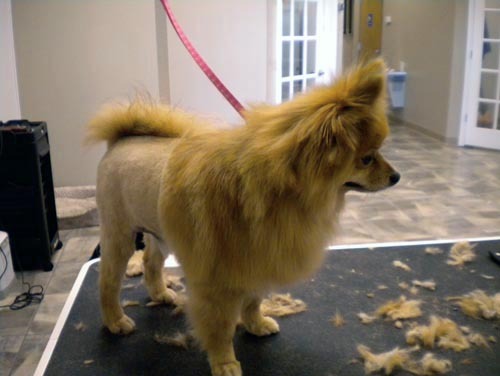 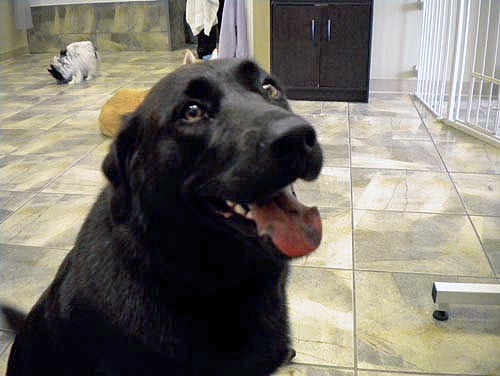 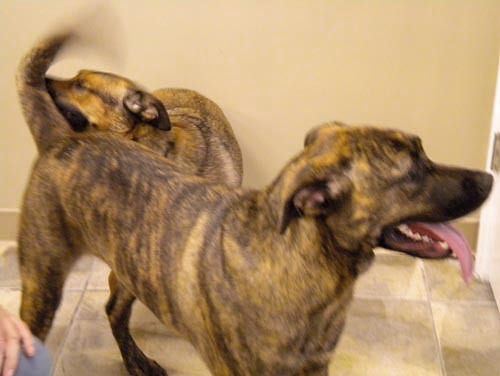 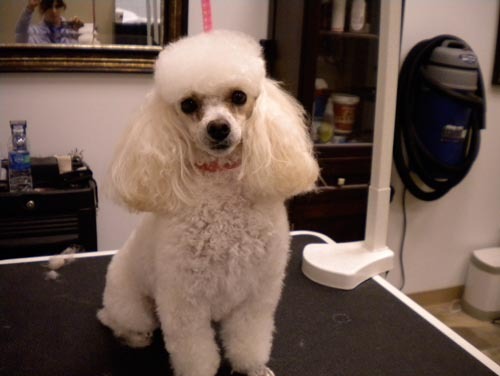 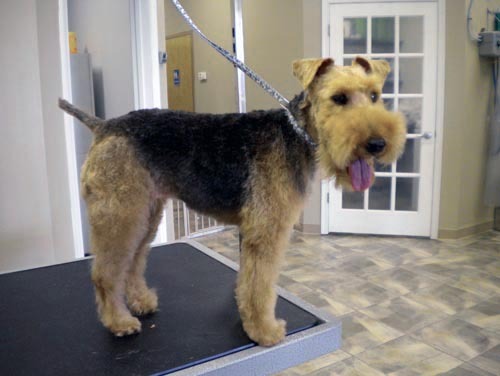 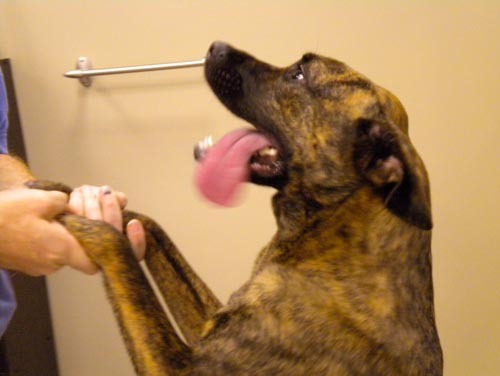 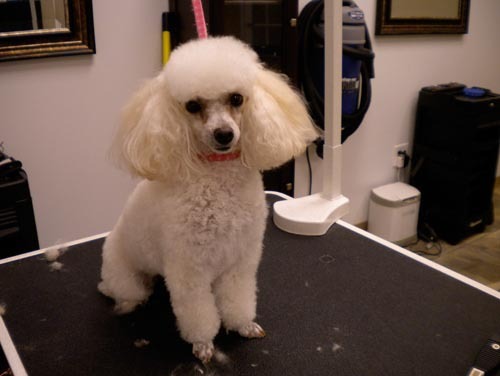 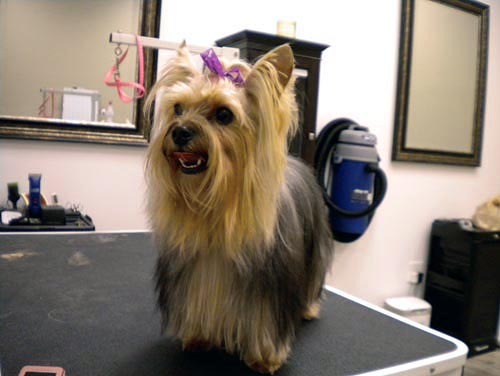 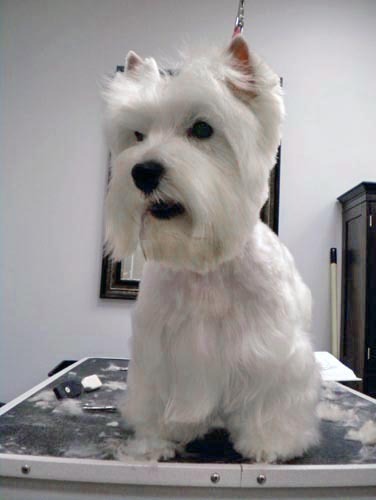 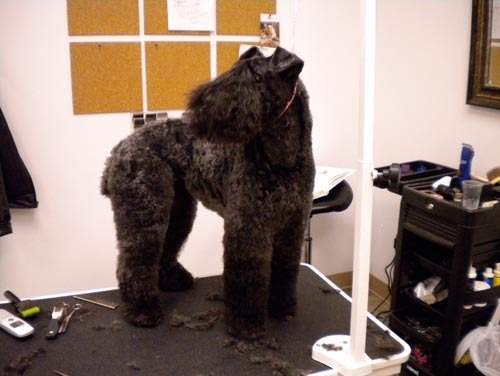 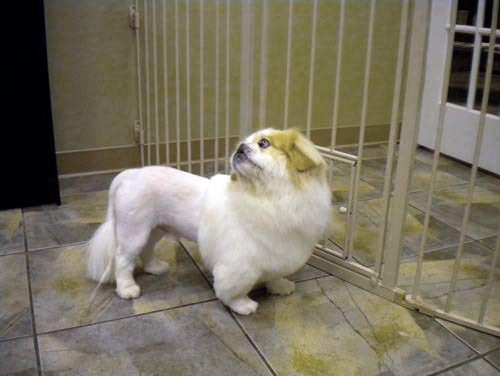 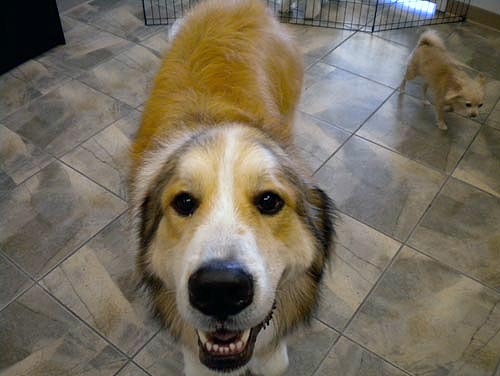 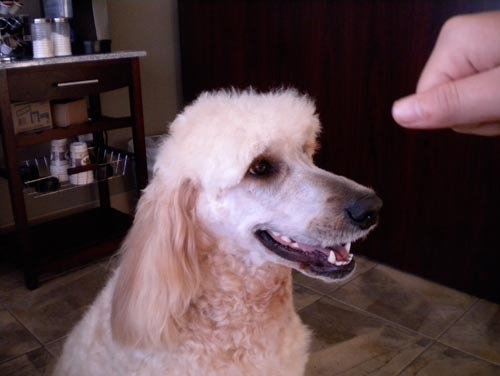 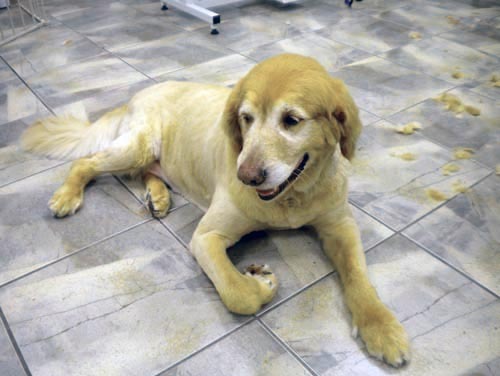 Here are some pictures of our happy dogs in different stages of grooming. 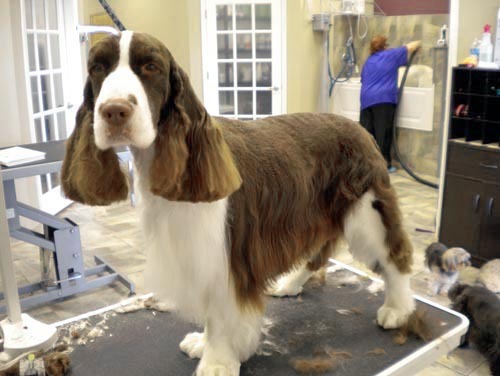 We'll groom them however you like. 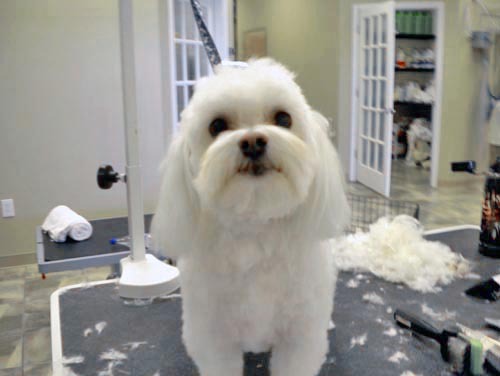 Sometimes we may have suggestions, but in the end, we'll leave the final decision on how they should be groomed to our customers. 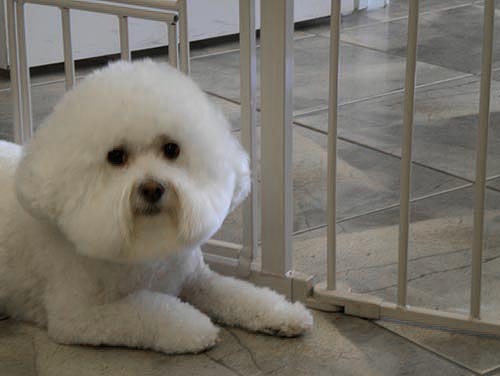 We love the pets as if they were our own and we treat them as if they were our own. 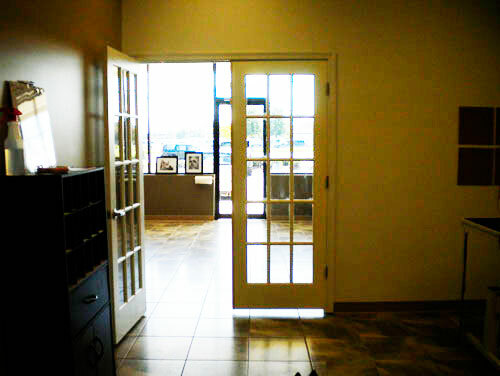 Safety and well being are our number one concerns. 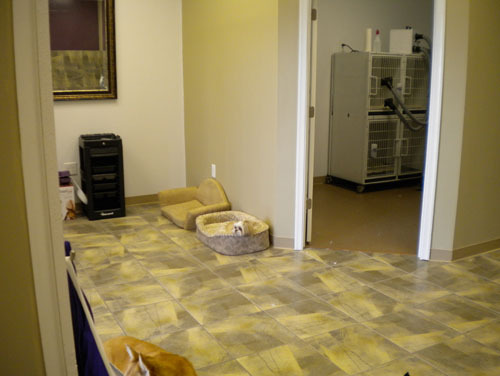 We even try to give them a little playtime while they wait to be picked up.